In hospitals, it’s called triaging. Deciding what is the most urgent need, and addressing it first. That’s what I’m presented with now, taking a long look at my truck and figuring out what needs to be addressed next. 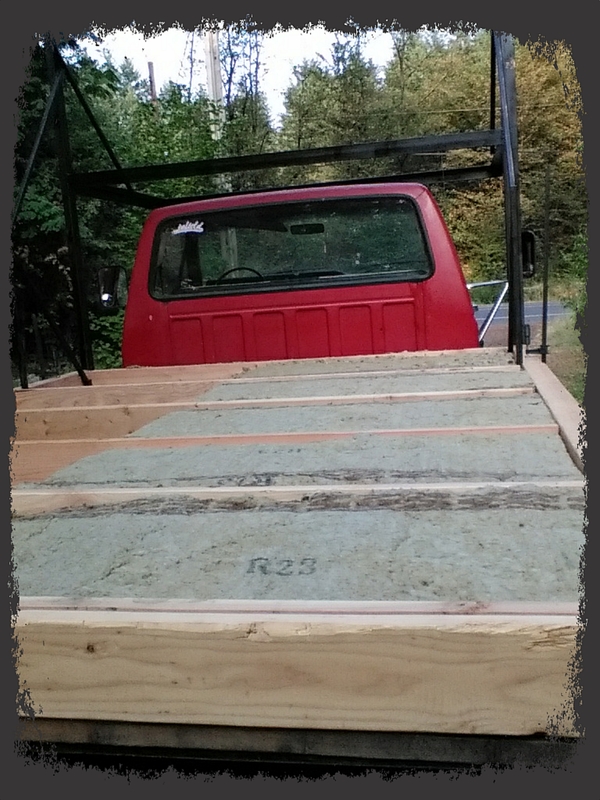 I have enough studs to fully frame the walls of the living space, including the cabover portion. But. 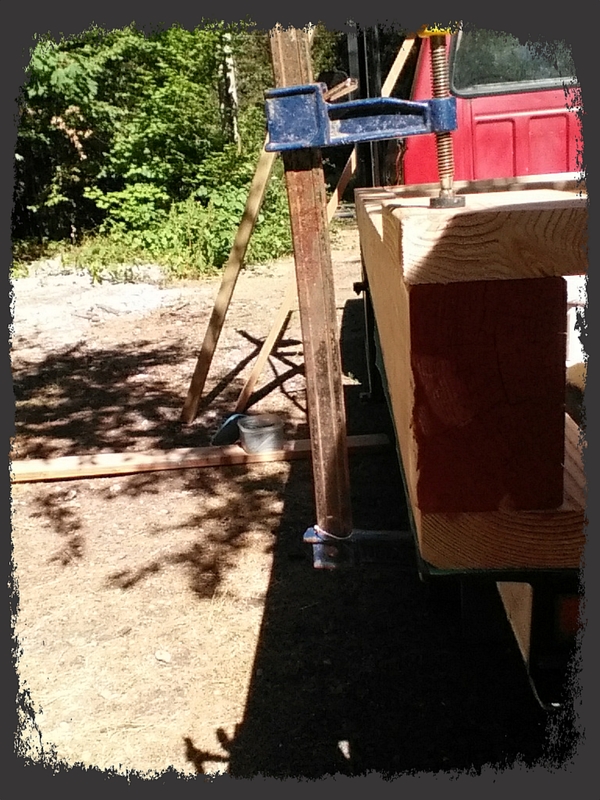 Due to the weight of the sheathing, I am going to need to attach it to the studs prior to lifting them into place. 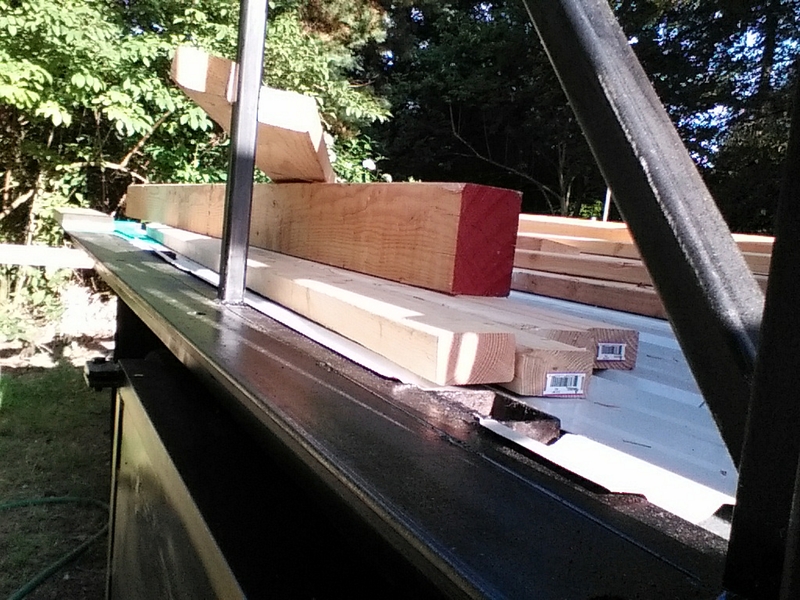 On my first build, I learned the hard way that I’m not strong enough to handle full-size plywood panels myself, and ended up cutting them into much smaller pieces in order to hang them. I don’t want to do that again. 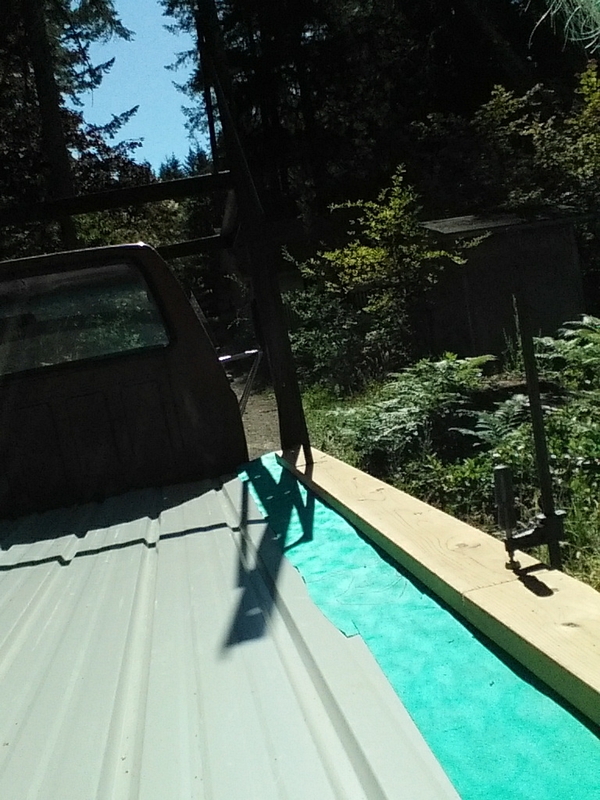 The only way around that is by screwing them into place onto the studs while they are still laying flat on the truck bed. 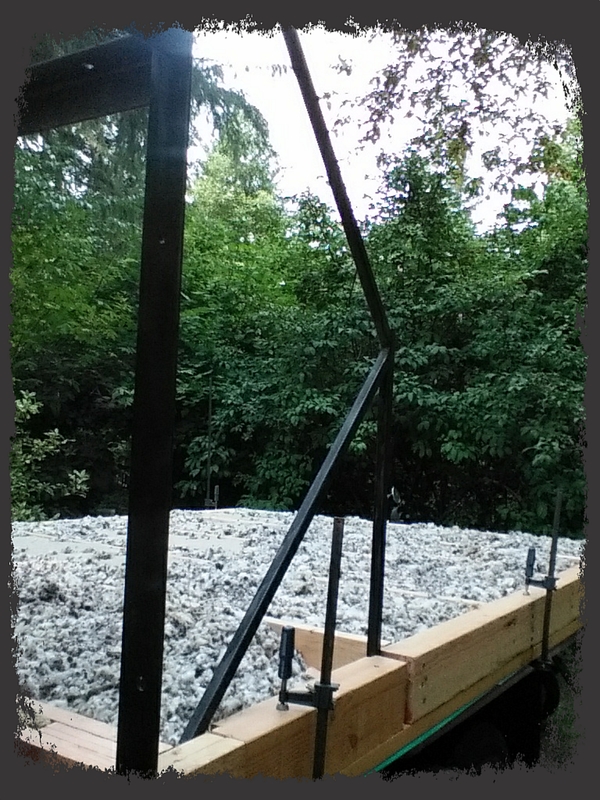 I can leverage the heavy walls sections up and into position myself, and brace them while I work on the next section. 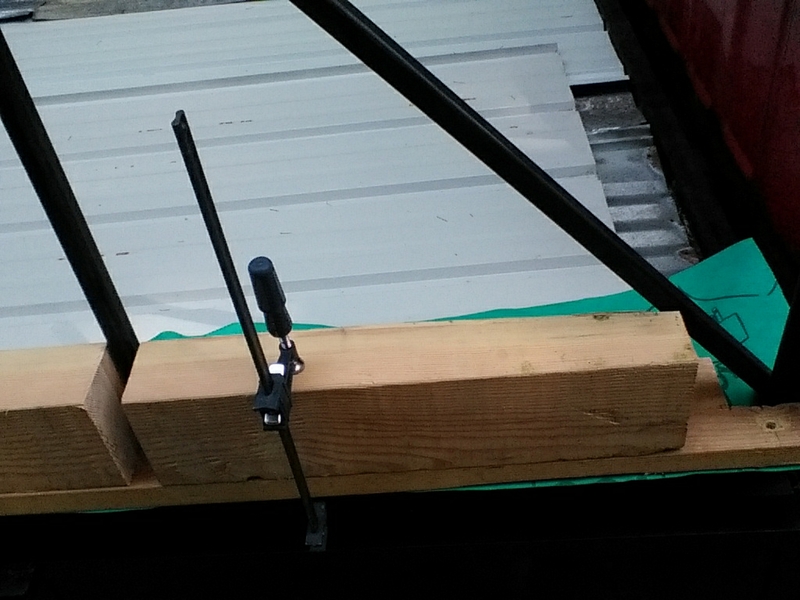 I don’t have the sheathing yet, though. It’s expensive. Plus, there’s a more pressing need that has to be addressed first ~ the fuel tank inlets. They must be rerouted from the bed to the new sides, and it’s an expensive process. Unbelievably expensive, in fact, as in $400. So, I have to wait. I do have the appointment made for next month so I can reassure myself that progress will be made as soon as possible. Inconvenient spot to fill your tank, believe me. Why don’t I at least build the wall frames while I wait? 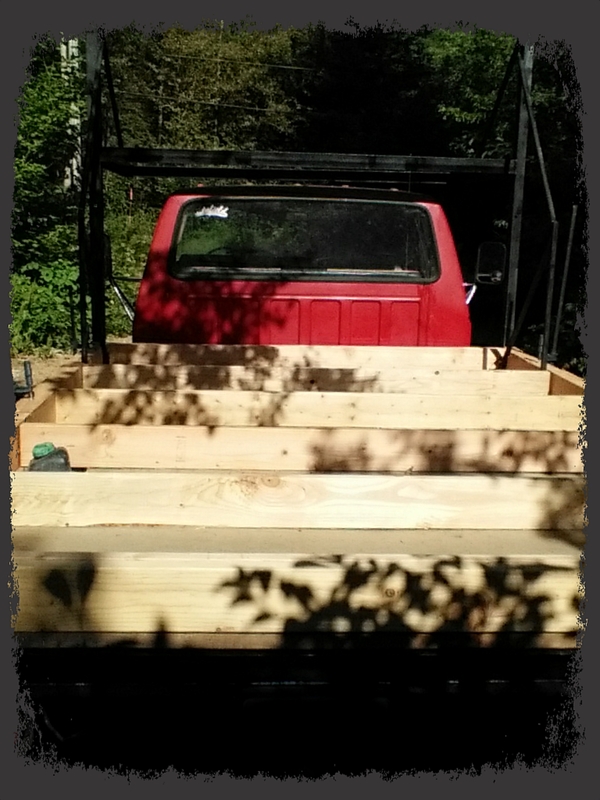 Because once again, the weight issues mean I need to build them on the flat of the bed of the truck, so I can lift them into place. I can’t simply do it on the ground. 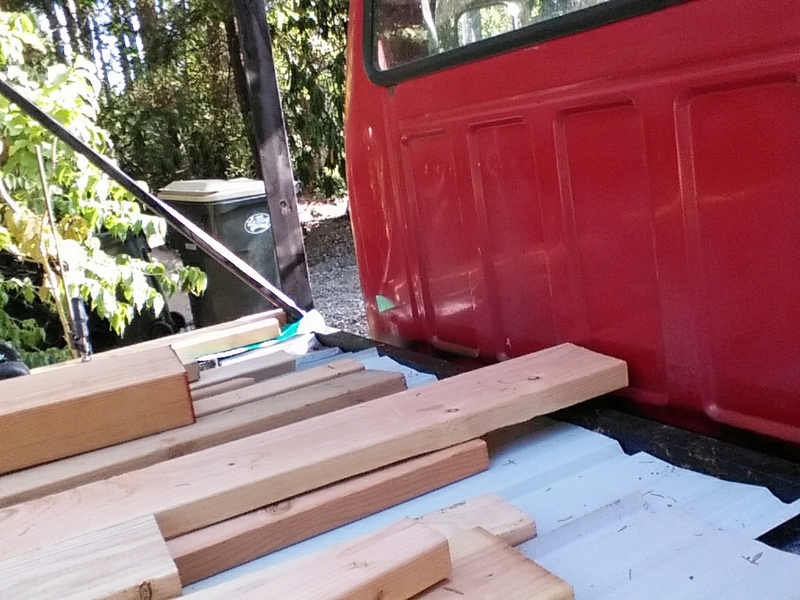 There’s also the issue of access to the fuel inlets where they currently reside, which would be inaccessible if I had a pile of wood framing laying in the way. So, I will wait. Bored, frustrated and scared by the time this is taking, but I will wait. Is My Phone Dumb, Or Is It Me? I don’t own a smart phone. My phone is so bad, I can’t even use the speaker/hands-free option. So it really shouldn’t surprise me to find out just now that my truck has been ready since FRIDAY. Yep, the day after I dropped it off. That’s how awesome my mechanic is. I finally rang him up this evening for an update, only to find out he’d left a message for me to pick up the Beast days ago. Sigh. My phone isn’t telling. 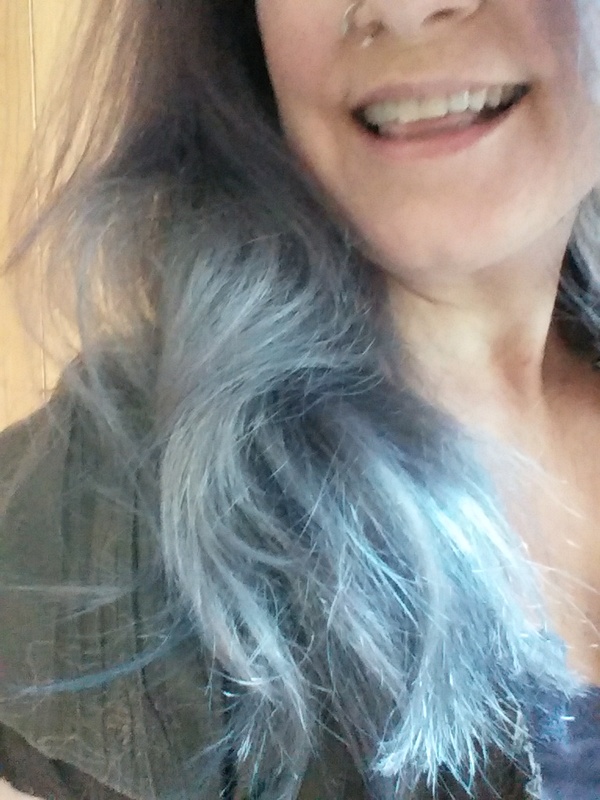 Maybe it IS me…. Dumb blonde? Yeah, I know it’s blue right now. OR…. 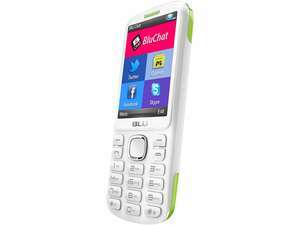 The Jenny Blu aka POS phone. First though, some pictures showing the steps I’ve taken so far. Metal frame is the equivalent to a home’s foundation. 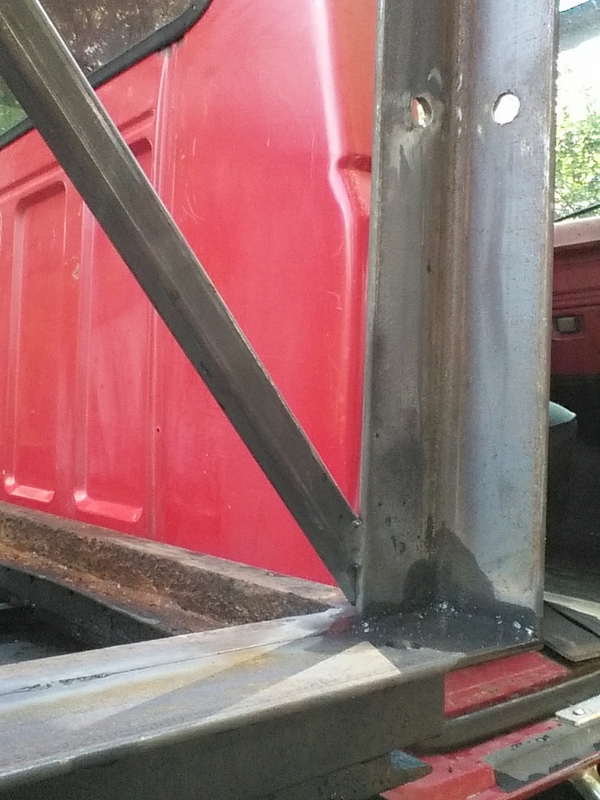 Reclaimed metal roofing panels set onto the truck frame. 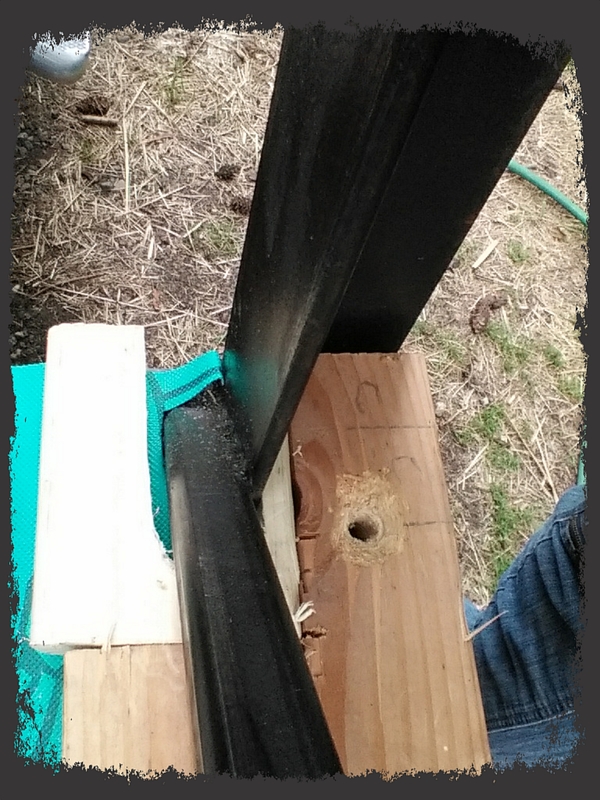 Had to cut the rim joists around the metal bracing. 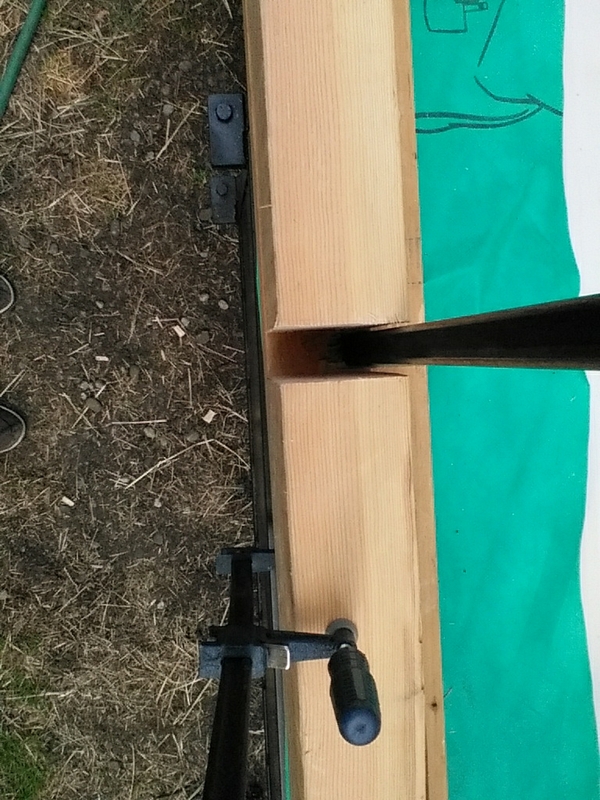 Wood is set on special barrier to protect it from metal condensation. 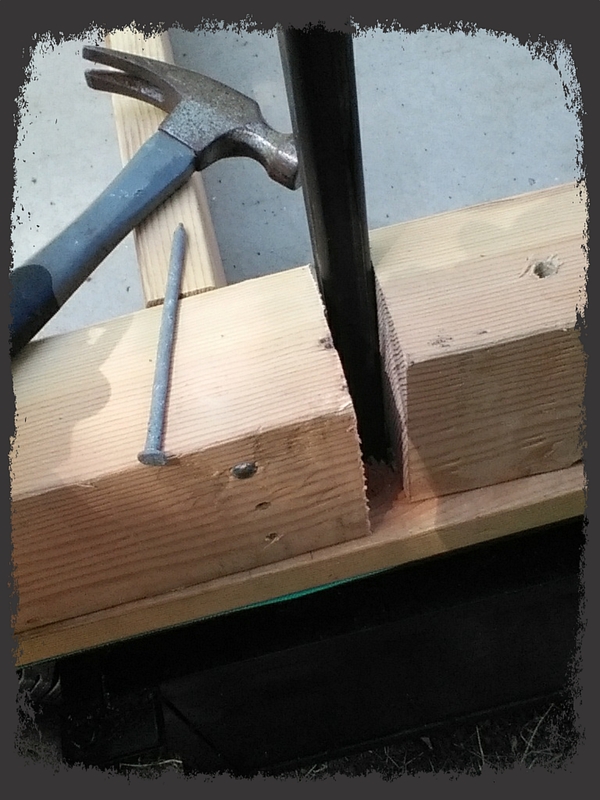 Used a 4×6 for the rim joist as I needed the thickness to match up with the bolt holes in the truck frame. Once I get them installed it will all become clear. 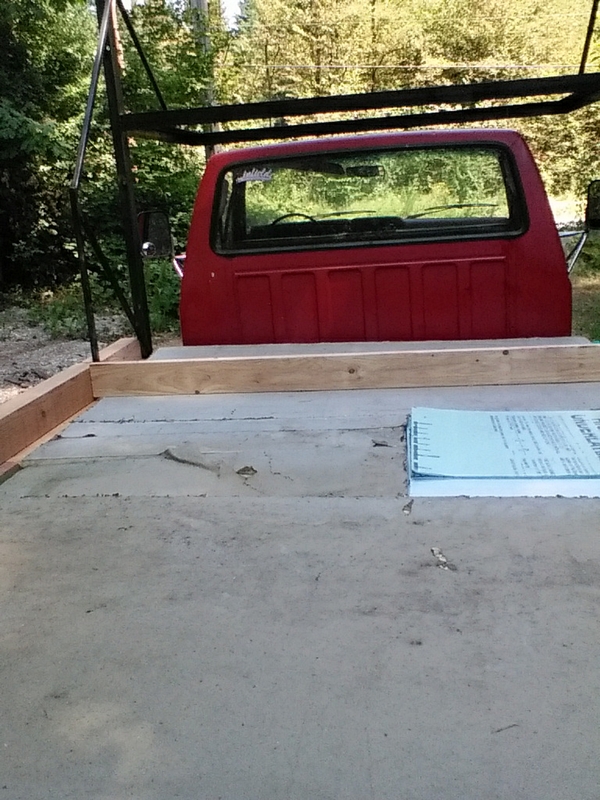 Didn’t have quite enough polyisocyanurate to cover the whole bed, so used 1/4″ layers of some rigid insulation to fill the gap. So it looks like the blue insulation isn’t laying level in the last picture. That is due to the metal panels having ridges which are pushing the pieces of insulation up. 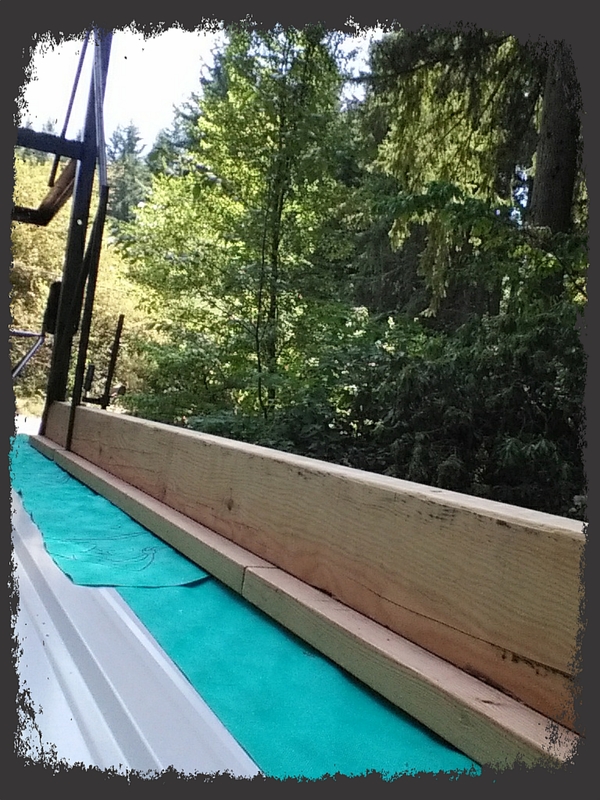 Once the joists are in, the insulation will be perfectly fine. 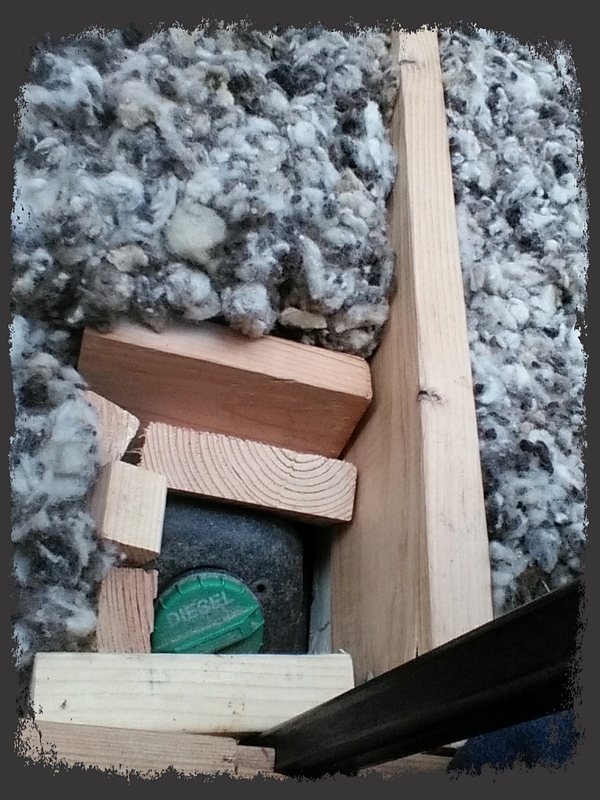 This type of insulation is rigid, and doesn’t easily get squashed (which loses R-Value). I’m a real fan of insulating well. 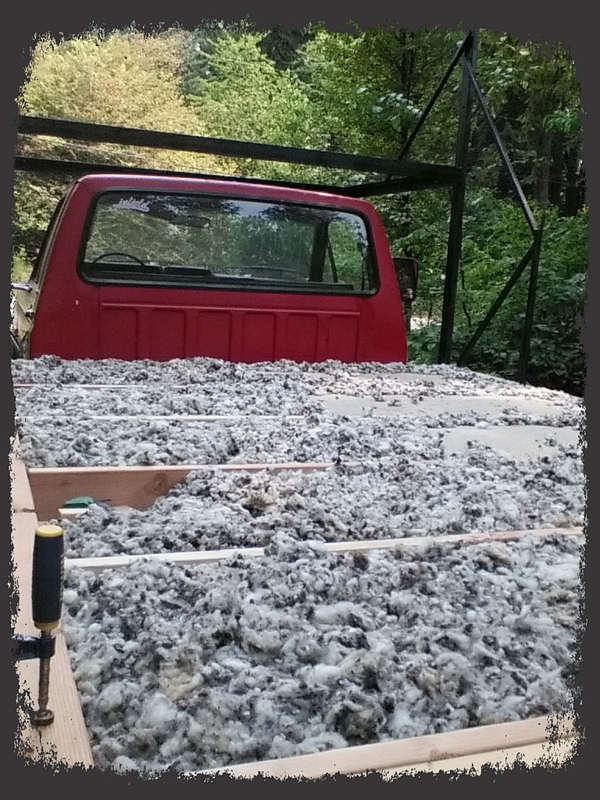 This bottom layer of insulation isn’t the only one for the floor. 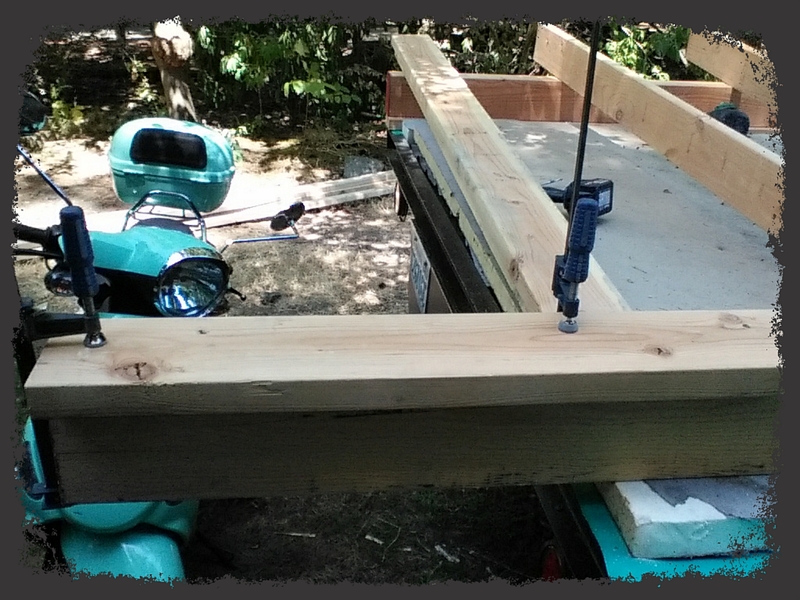 I’m using 2×6 joists set at 24″ On Center, as I already have a supply of Roxul that sized for that opening. 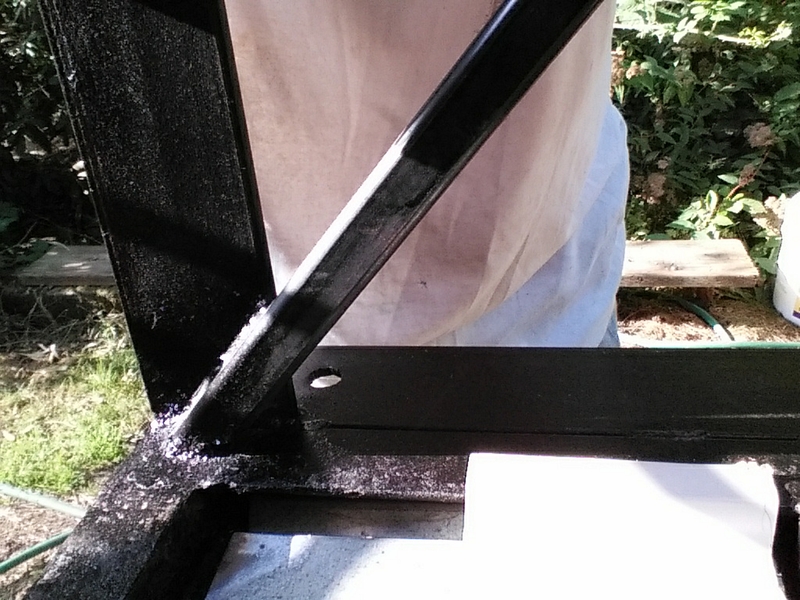 Roxul, like polyisocyanurate, handles moisture well and isn’t susceptible to bugs. 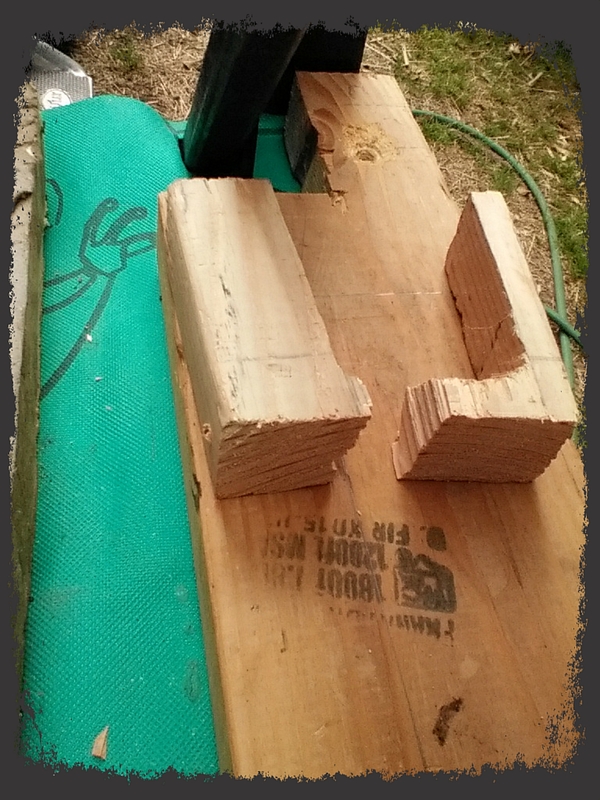 So these bats will go between the joists, creating another level of insulation. 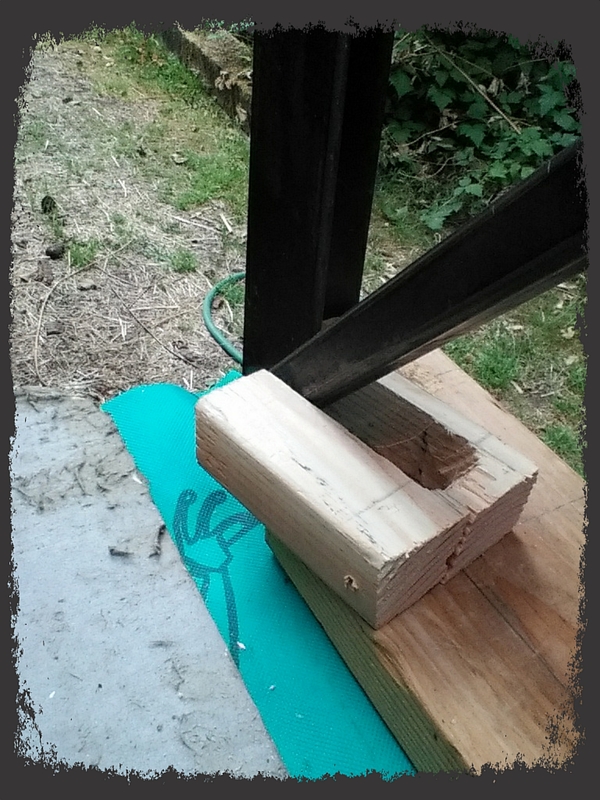 In the last picture is one joist that I place there just to admire it 🙂 Nothing is bolted, nailed or screwed down yet, as I need to return the bolts I bought and get longer ones…sigh. 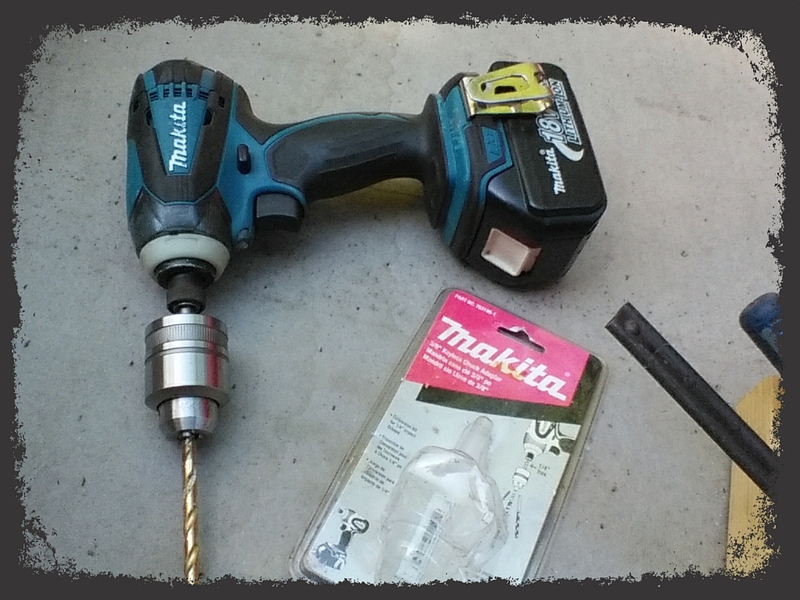 I always end up returning something I’ve sized wrong…at least this is an easy fix. 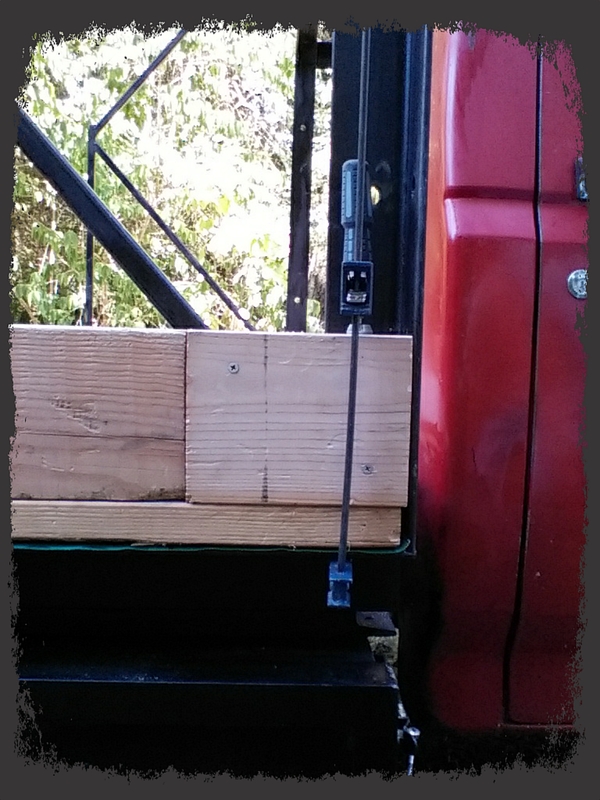 For the mess of metal bracing behind the cab, I believe I’ve figured out a solution. 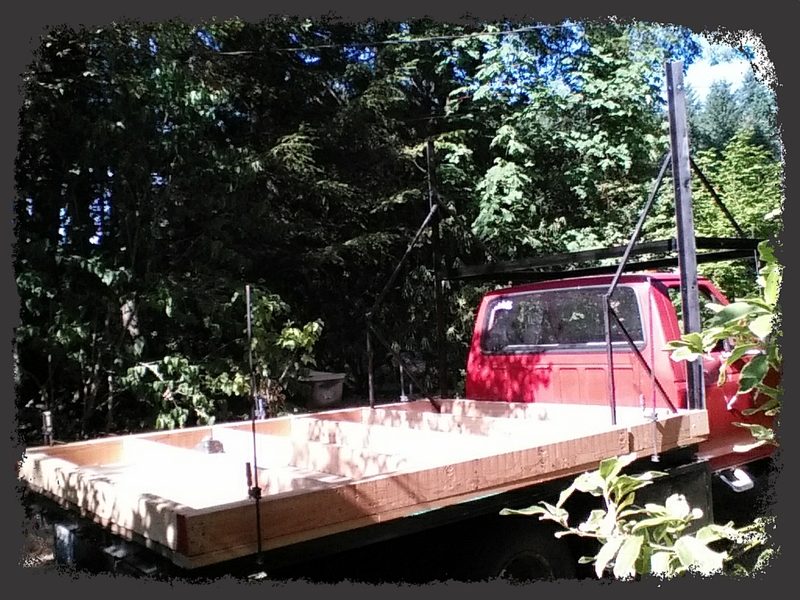 I got hot and tired so didn’t do it yesterday, but will today as soon as I get back from the hardware store with the proper bolts. I will take pictures, although it might look wonky. You asked for the pictures, and you shall have them! 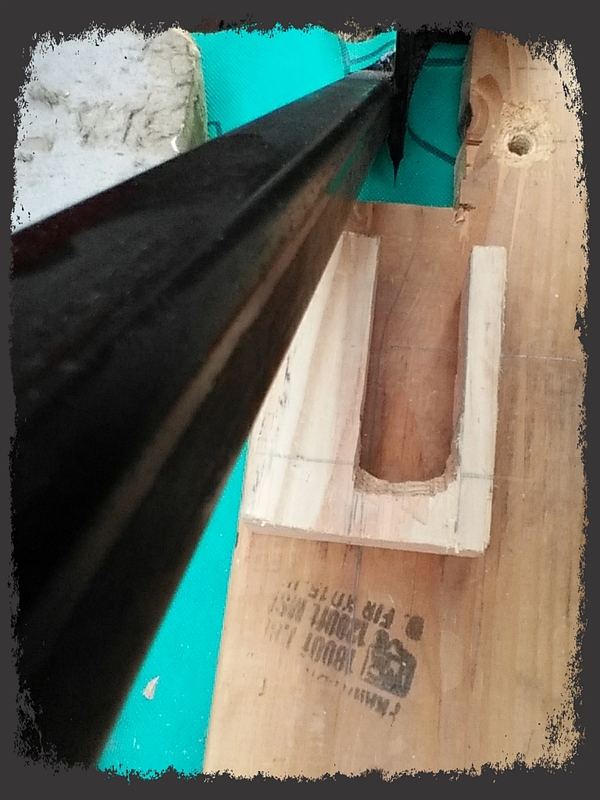 I’ll also show the bolts installed to show the strength of the framing. This will be a good, strong little space. 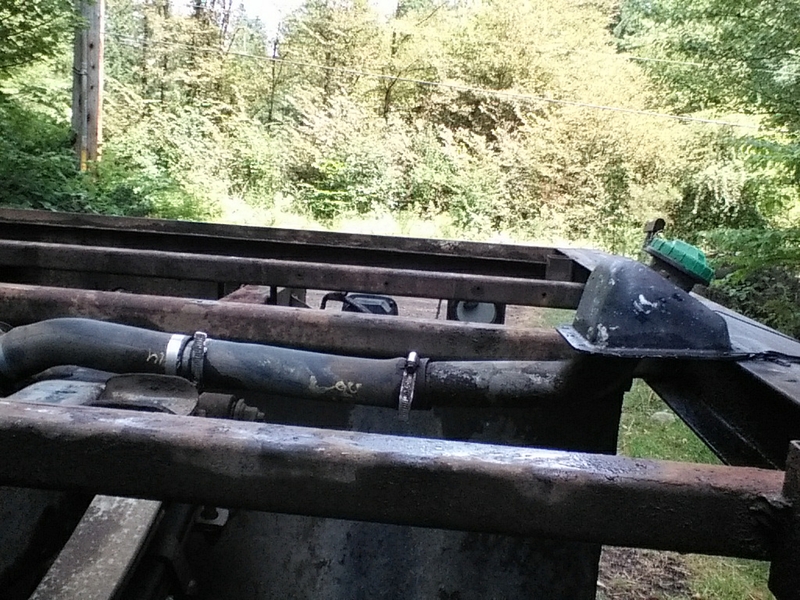 These are the holes that are placed every two feet along the edges of the truck bed. Thanks for reading my little blog about my little house Oliver’s Nest. I appreciate it very much!